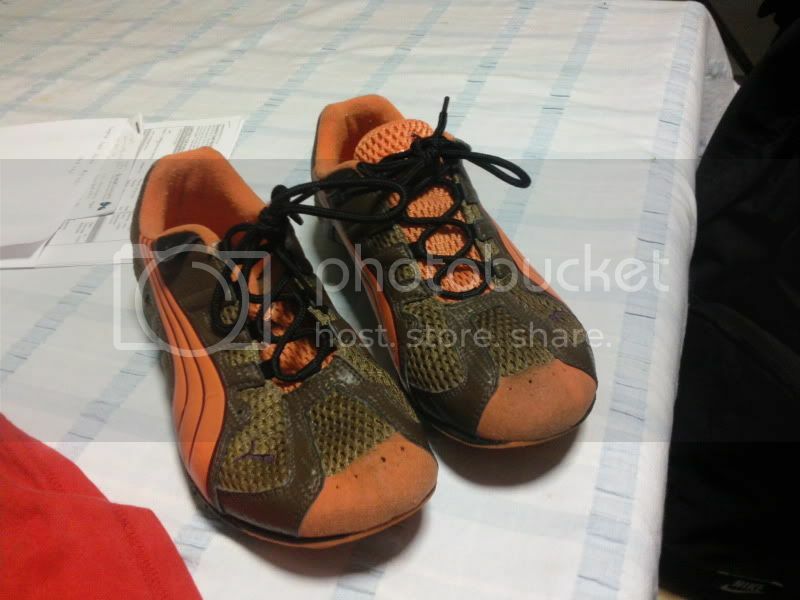 I have for sale my spare pair of puma tapers. They are in great condition, hardly any wear and tear, and have a lot of life left in them. I have played in many different shoes, but these are globally agreed on as the best dance game shoe. Shoot an offer or post if you are interested and we can decide a price. I won't be asking for anything ridiculous for them. Looks slick and great. The bottom design of the shoe looks interesting. Different from my other dance shoes. The ones I got are made for spinning and sliding. Anywho. I might think about it. I was wondering what size these tapers were? Oops, didn't say! They are size 9. A few people are interested, so let me know:) are you in Brisbane? No, I'm not in Brisbane. I'm in Springdale, Arkansas. US. How much are you selling these for? wow how on earth did you find this site? not sure hit me up with an offer! Shipping to your country is probably like 35 bucks though. And that I'm really looking for some tapers. 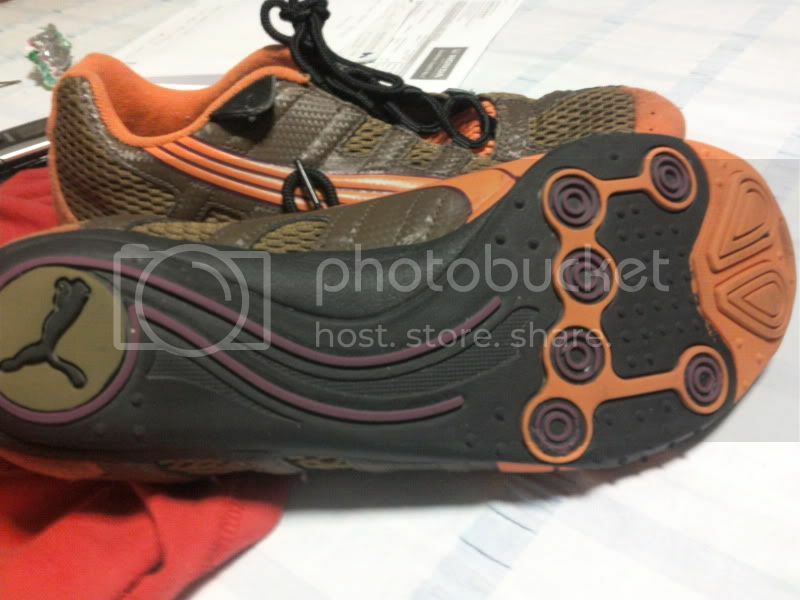 Another question, how long is the insole? You say a size 9, but this is just to be sure. If you can give me an inches length, that'd be convenient. But anything else is fine. Not sure if it helps either of you, but I'm pretty sure our shoe sizes are the same as the US (other countries have crazy shoe sizes). Oh okay, that was helpful. Someone has offered me $60 for these - that might fall through though, he's really inconsistent. They are UK8, US9, EU42, and 27cm, according to the tag. Just convert that to inches. As for the condition, they are very nice for second hand shoes. They weren't used much at all. Some small wear on the outside, but the sole is perfect and the tags and PUMA label inside are attached and not worn, which is usually the first thing to go.